Proper organizational structures and control mechanisms to ensure clear accountability for resources received. These two aspects are needed if financial institutions shall provide for co-financing of the creative industries in East Africa. This was the clear message delivered by the banking sector to the film and creative industry practitioners during the recently concluded 7th Congress on East African Cinema. 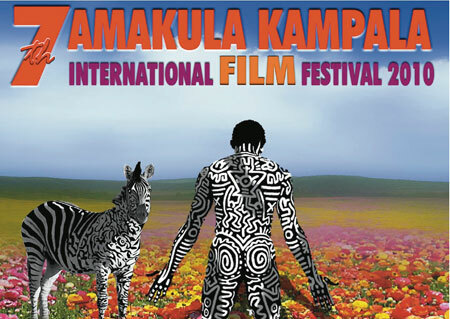 The congress was a part of the 7th Amakula Kampala Film Festival. Various praises and flaws were raised in relation to the development of the film industry in East Africa. Top on the list was the lack of proper channels of financing to the industry and the region’s creative economies as a whole. This time around, Amakula Kampala Cultural Foundation partnered with the Arterial Network to host this annual conference that brings together filmmakers and other stakeholders in the film industry in the East African Community. Creative industries are the fastest growing sector in many countries’ economies. Overall, creative industry income worldwide increased from USD 831 billion in 2000 to USD 1.5 trillion in 2005, effectively outcompeting traditional industries like engineering. Currently, 7% of the world’s GDP is earned from the creative industries. It is no wonder why the majority of African countries have taken to recognize and implement the recommendations made in the Nairobi Plan of Action on Cultural Industries in Africa. Elsewhere in East Africa, film has been acknowledged as a fully fledged industry with the potential to create employment and income, not merely as a medium through which individual and collective creativity and society expresses itself. Alas, not much has been done to prop up its continued growth, especially in the Ugandan context. Leading the pack in film financing and development in East Africa are Rwanda and Kenya. The governments in these two countries have taken the initiative to co-finance productions. We have seen the government of Rwanda’s support to initiatives like Hillywood and Erick Kabera’s Rwanda Film Festival, and Kenya’s decision a few years ago to deliberately call for 60% of all content on the radio and TV to constitute local programs and/or content. Uganda, on the other hand, is yet to make a decisive move towards supporting local content and creative works. The ayes can still argue that cultural industries along with its practitioners can only be promoted and developed through a conducive legal environment. The majority of the Ugandan participants reiterated that even though an effort has been made to aid the industry in Uganda, and bring it into modern times with the amendment of the copyright law and neighboring rites acts, there is still a crucial lack of the appropriate mechanisms to enforce the law. Such laws have remained as mythical as a white elephant, and have proved inefficient in curbing the rampant piracy of works within Uganda. It remains to be seen if there will be active implementation of such laws that are important in propping up the success of the film industry. The banking sector representatives attending the conference reiterated that arts and film fraternities need to have working controls and monitoring systems set up in arts organizations to manage the funds that are received. With the current prevailing syndrome of arts and film institutions relying on individual member’s bank accounts to channel and handle company finances, such scenarios lend no credence to a business that needs to be taken seriously. “The phenomena of arts institutions having their leaders handling every aspect of the business – from hiring, finances, bookings etc – simply speak of a disorganized business environment,” said William Kizito, an economist attached to Barclays Bank, Uganda. Filmmakers further reiterated that there is further importance in leveraging the technology into the arts, as opposed to functioning with technology that is more that 20 years old. With the industry showing signs of rapid growth in the next five to ten years, filmmakers appealed to governments to provide basic tax cuts. This will enable increased importation of modern tools into eastern Africa. If East Africa is to compete favorably as a leading hub for film production, technology levels and individual expertise in the region need to match up to other countries and regions. It is such formidable goals that, according to the organizers, necessitated the formation of bodies, such as the Arterial Network to champion such goals in Africa. The conference ultimately ended with the election and inauguration of the Arterial Network Chapter for Uganda headed by Julius Lugaaya. Great insights into the fieled of film and where it needs to head.